We've been eating the heck out of sweet potatoes. For the first time in my hubby's life, he has finally decided that he likes sweet potatoes. He surprised even himself! 😉 This experiment turned out yummy! So, now that my hubby is in a sweet potato phase, I buy more sweet potatoes and I probably wouldn't be lying to say that we eat them every day. Every. Single. Day. The amazing thing is that we haven't turned orange yet! I thought that I had seen people make sweet potato noodles before, but I wasn't absolutely positive. So, a quick check online and . . . . . . . . YES! People have actually made sweet potato noodles before. I wasn't going crazy! It's a thing, y'all! Since I have a spiralizer, it was pretty easy. It was time consuming, but not very difficult. The hardest part was peeling the potatoes. It is not as easy to peel a sweet potato as it is to peel a white potato. And truthfully, that's the part that took the longest time. The spiralizing itself didn't take too much time. I thought the noodles would be good with lime and ginger and I happened to have limes in the house. Actually. . . .having the limes in the house is probably why I thought it would be good. It's not like it just popped into my head. The limes were in front of me. My hubby doesn't actually like ginger that much, so I only used a little in this. . . although I used a lot more than I planned to use. I planned on using a "pinch", but decided to use an 1/8 of a teaspoon. Here are the ingredients that we used. Let's talk about the "dressing" first, because this is actually what MADE these sweet potato noodles amazing (in our opinion). 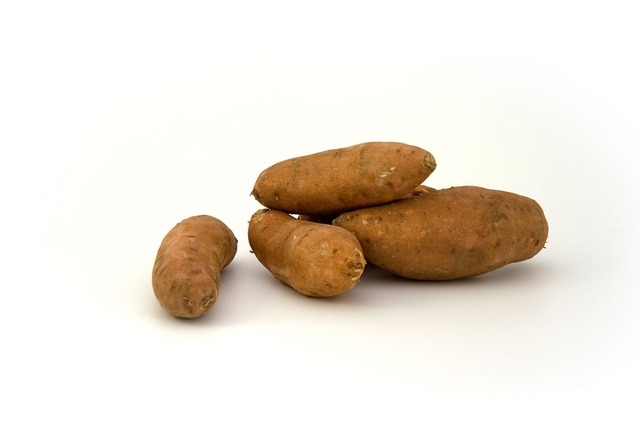 Tips ~~ it's easier to peel a sweet potato that is less ripe. It is also easier to cut the sweet potato in half so that there's a larger flat spot to attach to the "holder" end of the spiralizer. It gives the holder more to grab onto. I saved all the bits and pieces that don't end up being noodles for another purpose, although I'm not sure what that is yet. Whisk together all of the Ginger Lime Vinaigrette ingredients. Place your sweet potato noodles in a 9x13 baker. Place your salmon in a separate oven-proof baking dish. Drizzle the vinaigrette over the salmon and the noodles. Toss the noodles to make sure all noodles are covered. Bake in oven for 10 - 15 minutes. All ovens vary, so check at 10 minutes. I set my timer for 12 minutes and figured the salmon needed about 3 more minutes. 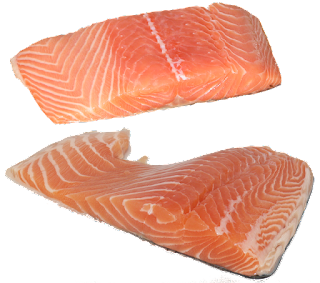 You'll know the salmon is done when it is no longer translucent and it flakes easily with a fork. At 15 minutes, the sweet potato noodles still had a lot of crunch, which was good with the ginger lime dressing. It would probably be REALLY amazing with some sliced toasted almonds and scallions mixed in. 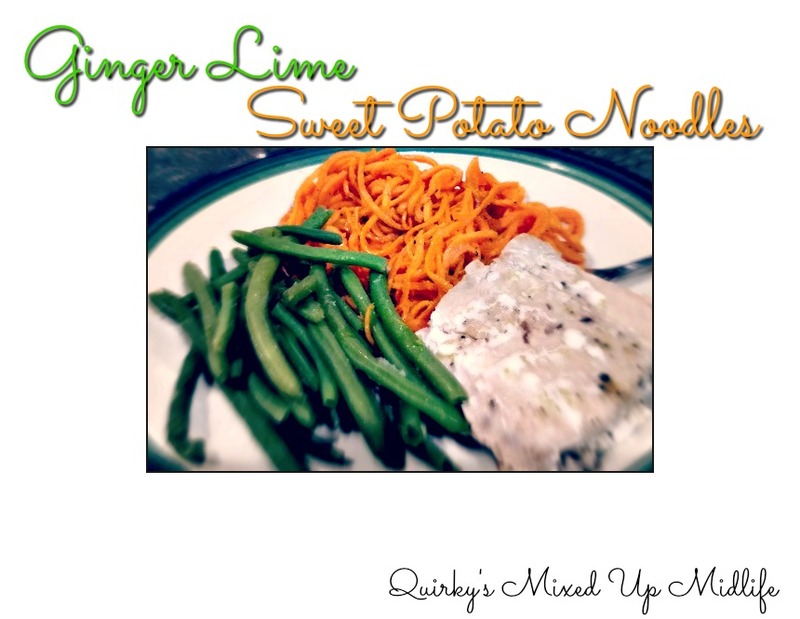 We ate our Ginger Lime Sweet Potato Noodles and Salmon with steamed garlic green beans. It was a nice, fresh, clean meal. Have you ever tried to make sweet potato noodles before?